Finally, a baby step into the world of food blogging. Still an amateur when it comes to cooking and food photography. This space would be a way to share with you my kitchen experiments. The recipes have been shared by my family members, friends, different recipe books, food blogs and food groups on social sites. 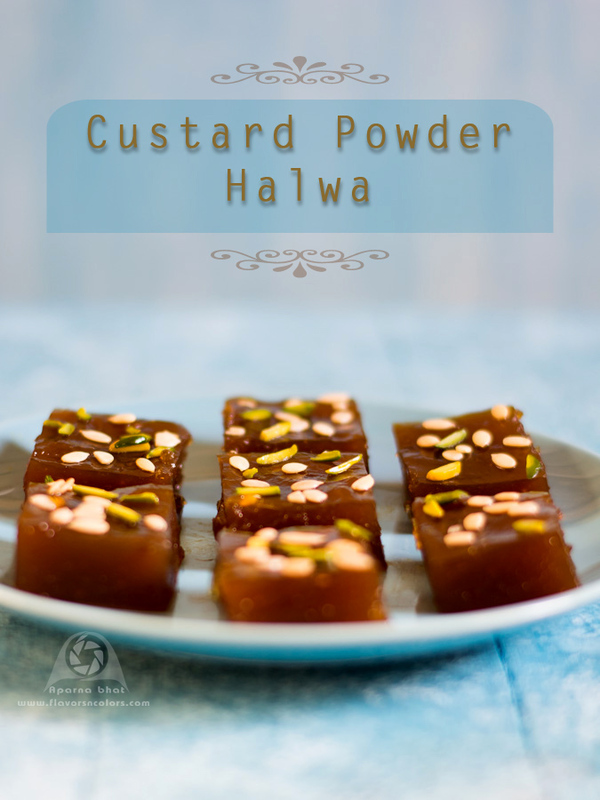 While browsing on net for a sweet recipe to prepare this Diwali, I came across halwa recipe here at Blend with spices made from custard powder. Look wise it has a nice glossy texture and preparation wise it is so easy that immediately I tried it following her recipe with few variations. Take the custard powder, sugar and water. Mix it well to avoid any lumps. Heat a saucepan and pour the custard powder mixture. Stir it continuously. Once the mix comes to a boil reduce the flame, add ghee gradually. 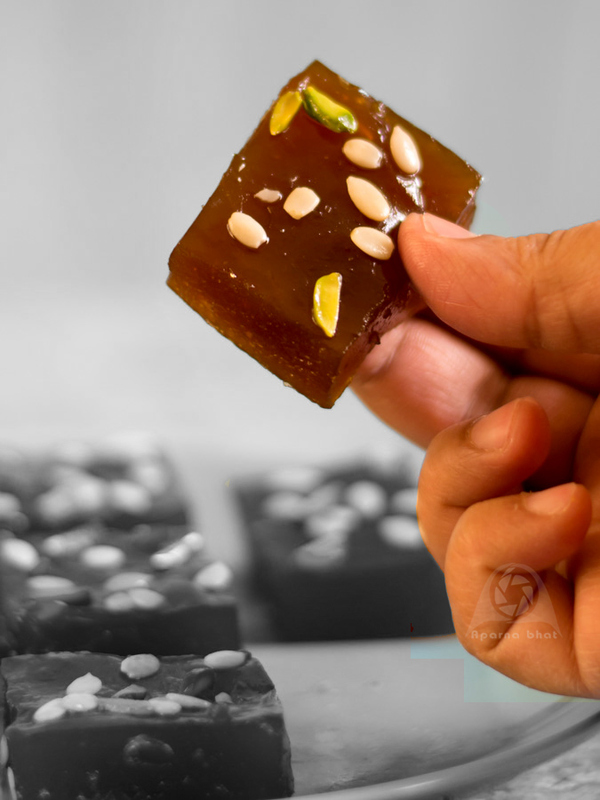 Cook until it reaches the halwa consistency. Here the mixture will turn translucent and will have a jelly like texture. You can add cardamom powder[optional] and nuts of your choice at this stage. Switch off the flame and transfer the mixture to a greased plate. Sprinkle some chopped nuts of your choice and allow it to cool. Once set then cut into shapes of your choice. 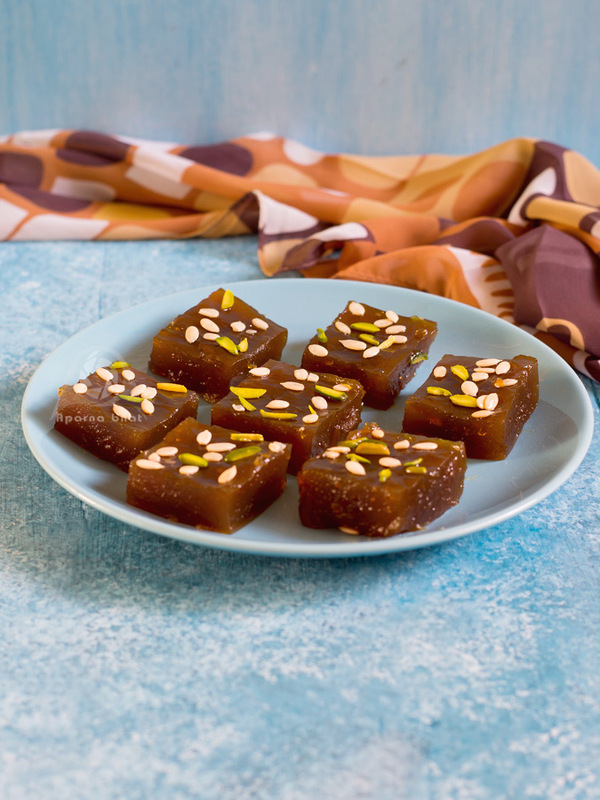 Enjoy eating this halwa. Note: Instead of pieces you can also pour this halwa in serving bowl and garnish it with chopped nuts of your choice and serve it warm. 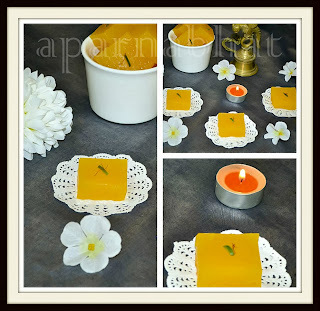 Note: If you use only white sugar the color of halwa will be yellow as seen below in the pic. Wishing all my readers, friends and family A very Happy, Prosperous and Safe Diwali!!! 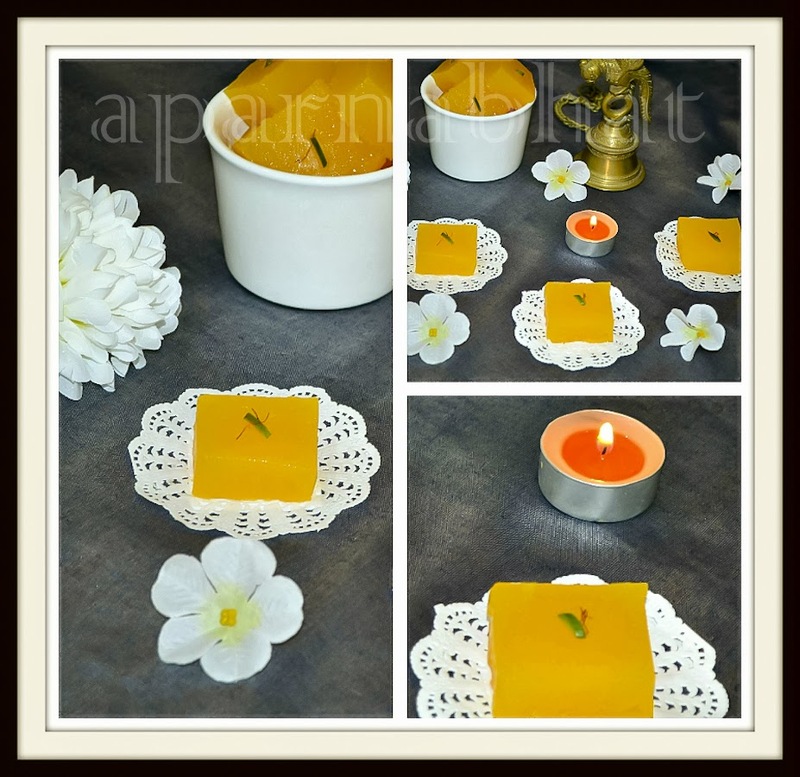 would be a memorable Divali with a wonderful sweet/desert as we can never forget what we created. Thank u Venkatesh maam for the sweet comments ! This is a wonderful idea.I am definitely trying it.You know this is like the corn flour halwa which we get at the Halwai shops.Thankyou.